Fallout: New Vegas is a fan favourite among the open world entries in the series for its rich setting and varied role-playing options, but the game isn’t looking quite as fresh as it once did. It’s been eight years since New Vegas released, and we’ve gotten a full generational shift for Fallout in the meantime. 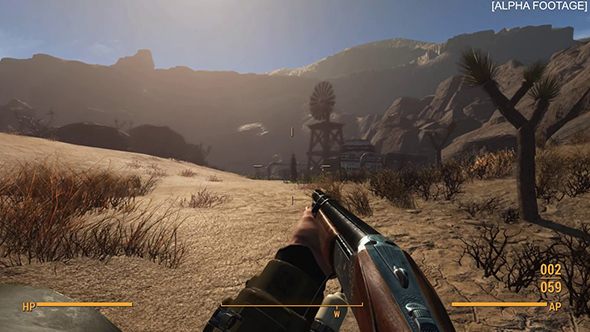 Luckily, a group of modders are bringing New Vegas to the Fallout 4 engine. There’s a reason New Vegas is the Fallout title that made the cut in our list of the best RPGs on PC. Fallout 4: New Vegas is exactly what it sounds like: the content of New Vegas rebuilt as a mod for Fallout 4. The modders have provided some footage of the systems and gameplay features already in place, and the whole product is looking positively delectable. It’s only been in development for a handful of months, and given the scope of New Vegas it might be quite a while before we see the finished mod. But it already looks to be worth the wait. Obsidian seem pretty pleased with how things are shaping up, too. You can follow the mod’s progress via their Tumblr. This certainly isn’t the first time a game has been modded out of an old piece of Bethesda tech and into a new one, and I spent plenty of time futzing around with Morroblivion years ago. Skyblivion is similarly in the midst of development, and if it turns out we’re living in an age of perpetually modernized open world RPGs I think my outlook on life is getting a lot brighter.